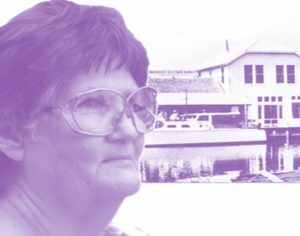 The family of Isabelle Joiner and the members of the board of the Gasparilla Island Maritime Musem will hold a special day in honor of a new dock project and the late Isabelle Joiner’s birthday on Tuesday, Feb. 12 from 3 p.m. to about sunset at Whidden’s Marina. There will be refreshments, music by guitarist and attorney elite Michael Haymans, tours of the museum and, quite possibly, a visit from the shrimp boat. The dock will be festooned in purple, as it was Isabelle’s favorite color. GIMM President William Woodroffe will also give a talk regarding the dock project, which is ongoing. While the celebration is not only in honor of Isabelle Joiner and the people who donated for the project in Isabelle’s memory, the public is invited. Newer PostThe Boca Grande Woman’s Club Dog Show is back!